I love Dayspring. I love all of their products. And I especially love their kids line U-NEEKS. These fun creatures each come with a verse and remind kids that each of them are unique and just the way God made them. The line has toys, cards, stickers, and gift wrap. They also recently released a game for smart phones and tablets. When I received the email asking if I wanted to review the line, I jumped in and said "yes" immediately. I knew that my niece had a birthday coming and I knew that there was a couple of products I have been eyeing anyway. Meet Wally. He has now gone everywhere with us. Miles loves him. He has played in the yard, laid out in the sun, gone to Walmart, and even gone to the local vegetable store. Apparently, Wally keeps the monsters away. I ordered these products with my niece in mind. She love stickers and stuffed animals. These are the wearable stickers. I have to brag on the quality of these things. 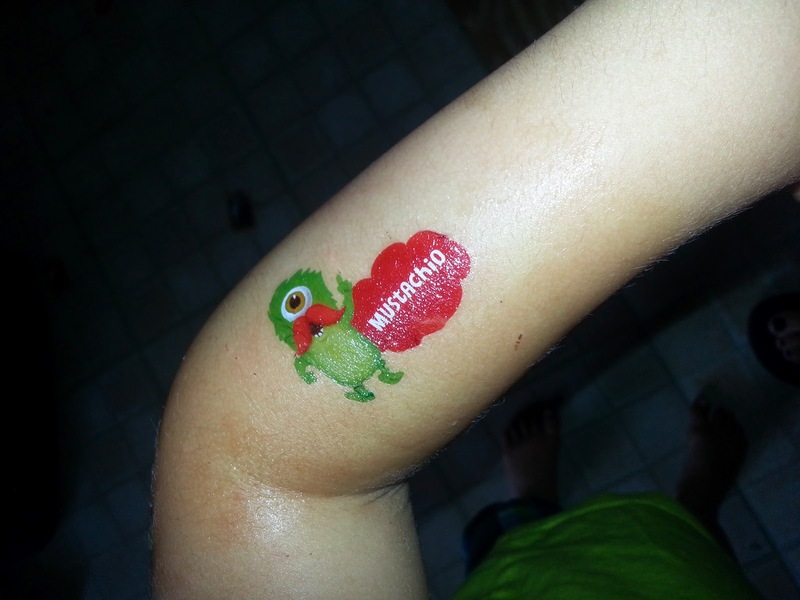 We go through a lot of "tatoos" in our house. And I mean a lot. But these have stood up to everything. Miles even has a tan line around this one now. He wore it for two weeks before I took it off of him. It had not even started to wear off on it's own yet. That is over 14 baths, swimming in a pool, and a whole lot of sun exposure. 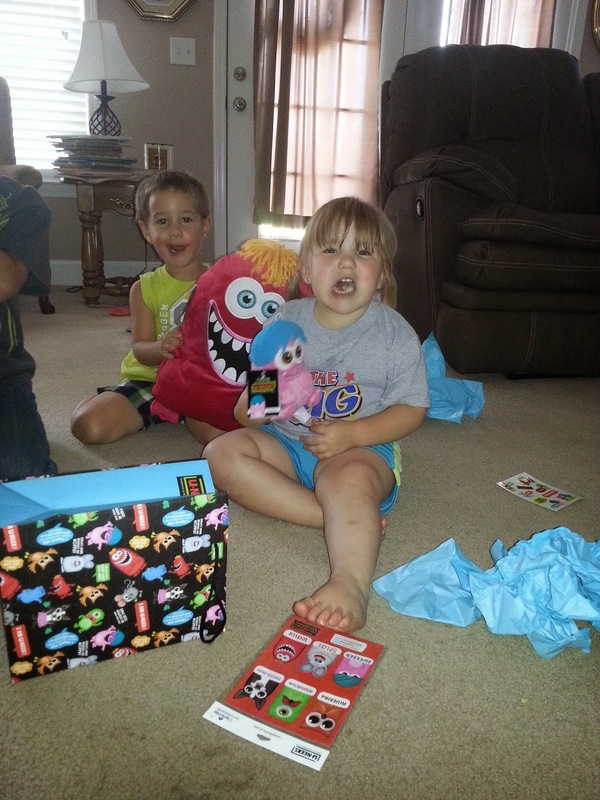 Here is Lila opening her birthday present. She loved her little U-NEEK. It is small enough for her that she can run around with it and not be ackward. Also- it's pink. My mother-in-law probably regrets me giving her stickers since I keep finding them all over her house. 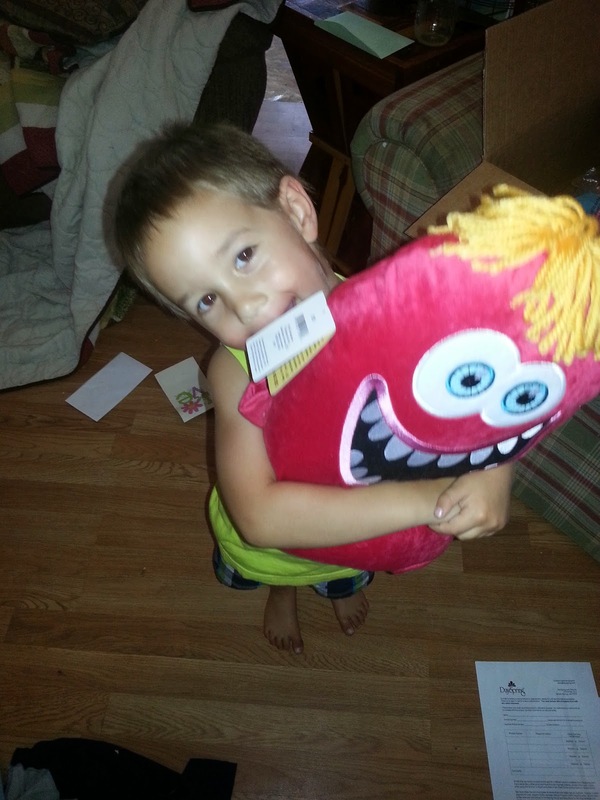 And Lila loves her "little monster". The U-NEEKS line can be found at Walmart, Hobby Lobby, and of course on the Dayspring website. These are great ideas for gifts. There are even little notes that you can put in your childrens' lunch boxes when school starts back. There are a wide range of little stuffed animals, stickers, tattoos, notepads, etc. Our family loves these products. Give them a try today and you will fall in love too.